As Switzerland's second largest city (Zurich is the capital), Geneva is the headquarters of many international organizations and the country's second leading financial center. Our chauffeur services, both transfers and hourly hire, are popular with business people, politicians and private citizens in Geneva. Let TOP-ALLIANCE take you to the best designer boutiques in the Old Town. Or on a relaxing trip in your luxury vehicle to St. Pierre Cathedral, where you can enjoy the magnificent view of Lake Geneva and Geneva's famous landmark, the 140 meter high Jet d’Eau (Geneva Water Fountain). In a city full of contrasts, locals, students and foreigners feast on the irresistible cheese fondue. If you have some extra time, The Russian-Orthodox Church, with its splendid mural paintings, is well worth a visit. First impressions are important and play a major role in successful business dealings. Make your meeting perfect from beginning to end by selecting TOP-ALLIANCE's chauffeured-limousine service. We offer a safe, comfortable and elegant ride, ensuring you're confident and relaxed when you step out of our vehicle for your appointments. 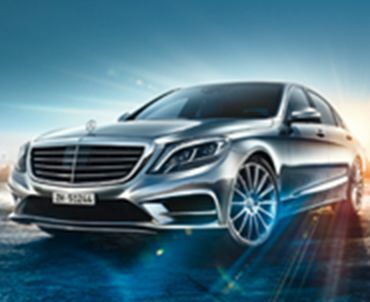 Choose between modern business class models or elegant first-class limousines. We offer two booking options: transfers from A to B or hourly hire with a dedicated driver. Our reliable airport service will be happy to meet you upon your arrival at Geneva airport and take you to your departure on time. Your chauffeur will put together an individual city tour, depending on the time you have available. We also offer spacious luxury minivans for groups of up to eight people. Contact us by email or phone. Book a transfer, for example from the airport, or hourly hire for planned city tours. Ask us and we will prepare an offer tailored to your needs. Our friendly, competent service team offers live support 24/7 and will gladly answer any questions you have. We accept credit cards, as well as payment by bank transfer, or we can invoice you. TOP-ALLIANCE AG – Your professional chauffeur service in Geneva. Services in the listed cities are provided by TOP-ALLIANCE and/or our partners.